The party starts on Monday! Shop at My Craft Spot online store! Here is a little peek at the crafty goodness coming your way! 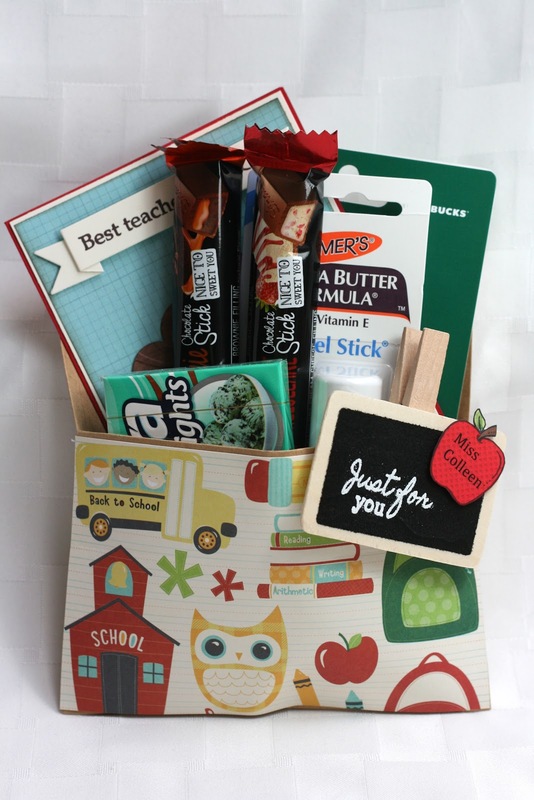 DT Post by Ally - Cute teacher gift! Hello! 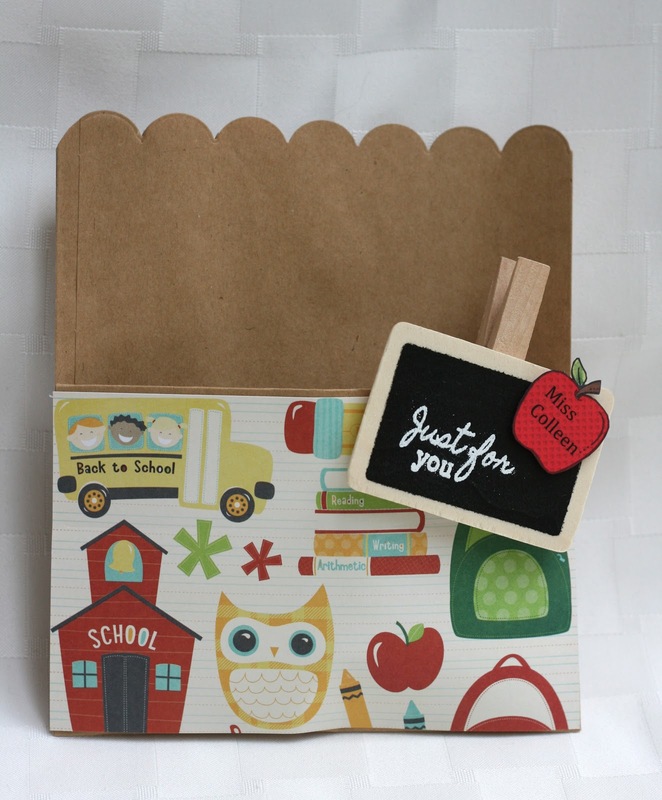 It's Ally from Rock Paper Cricut, with a cute end of year teacher gift. I made a gift holder out of a craft lunch bag from Michaels and My Craft Spot stamps. This gift holder came together so nice and quick. I stamped my tag on a chalkboard clothespin from Pick Your Plum. *Just for you* is a sentiment from the Jar Basics stamp set. 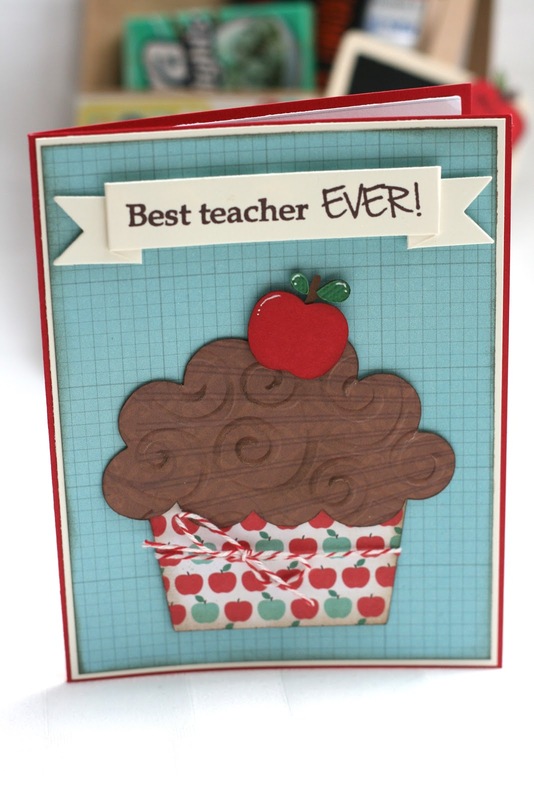 I printed the teacher's names on red paper, stamped the apple from the Jar Full Of Fall stamp set over the top of the name, and then paper pieced the apple together. For extra cuteness I cut a scalloped trim on the top of the bag using a die from the Fancy Edges metal dies set. 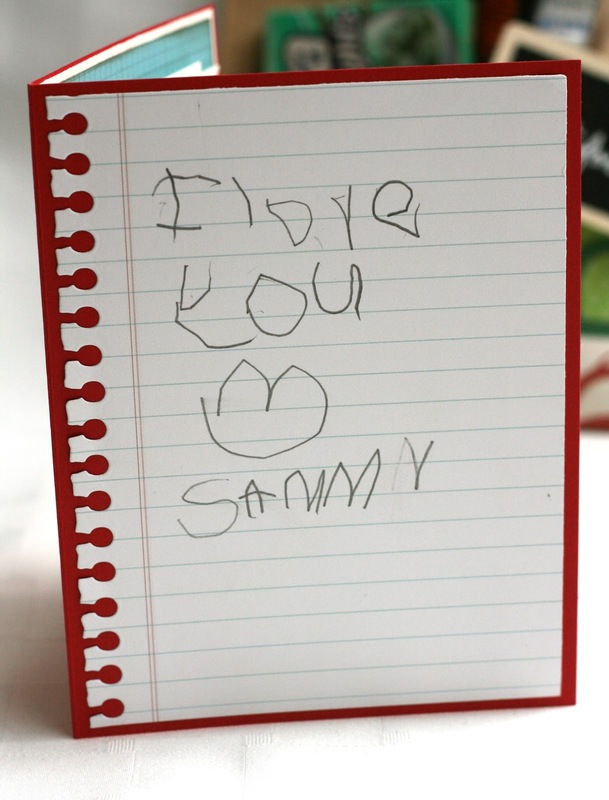 I posted this card a while ago, but I still had to share the card Sammy included with her teacher gifts. Of course, *Best Teacher EVER* is a perfect sentiment for the wonderful teachers we were blessed to have. Did you notice the cute torn paper edge? I used a metal die from the Fancy Edges set by My Craft Spot. I hope you enjoyed today's project and thanks for visiting My Craft Spot blog! Fun Shape Card for the Happy Couple! 'Tis the season for weddings! This card is for one of my daughter's friends from high school, who is now almost done with college. Where do the years go?! The cute cut file is from the silhouette store. I did modify it a bit by welding some of the pieces together to make a card base. I covered the silhouette couple, the tail light and the license plate with glossy accents. Our Monday Challenge this week is to create something to do with weddings - a card, gift, favors, etc. Come join the fun! Guess what?! More stamps and metal dies are coming your way! 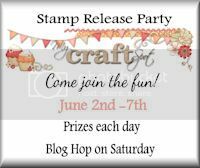 The stamped sentiments are from the Big Sentiments and Big Sentiments 2 stamp sets. These 2 stamp sets are some of my favorite go-to stamps! Don't forget . . . . The party starts on Monday! Come join the fun! Winners from Challenge #138 - Congrats & Grads!! Monday Challenge #139 - Wedding! DT Post by Ally - Beautiful graduation card! DT Post by Karen - Sweet Sailboat Shape Card! Winners from Challenge #137 - Inking! Monday Challenge #138 - Congrats & Grads! DT post by Karen - Gorgeous Tag Set! Winners from Challenge #136 - Mother's Day! DT Post by Heather - So Thankful For You! Monday Challenge #137 - Inking technique! Some Thoughts on Mother's Day . . .
DT Post by Karen - Berry Sweet Jar Tag! Metal Dies Back in Stock & On Sale! 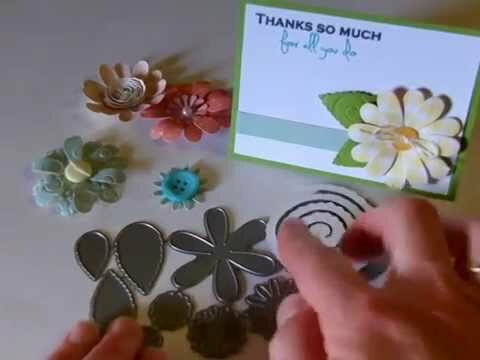 DT Post by Kate - Beautiful card! DT Post by Tanya - Cute Summer Tag! Winners from the Mini Release! Mini Release Day #2 - Washi Tape metal dies! Mini Release Day #1 - Rolled Flowers metal dies!